Alzheimer's. It barges into your life, breaks your heart, bewilders your mind, disrupts your plans, impacts your finances, and consumes enormous amounts of time and energy. When someone you love has Alzheimer's, you need more than just information on the disease--you need a break. You need a laugh. You need a friend by your side who knows exactly what you're going through. Award-winning humorist Dave M. Meurer is that friend. 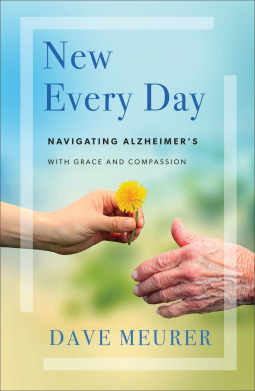 Packed with practical information--like how to get the DMV to take away the car keys or how you shouldn't insist on correcting your loved one's misperceptions--and plenty of true stories from his own experiences navigating life with a loved one who suffers from Alzheimer's, New Every Day offers hard-earned wisdom and even some badly needed comic relief for readers journeying down this difficult road. With compassion born of experience, Meurer helps caregivers develop the ability to relax, adapt, and even sometimes laugh again.